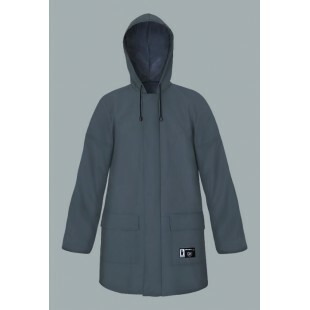 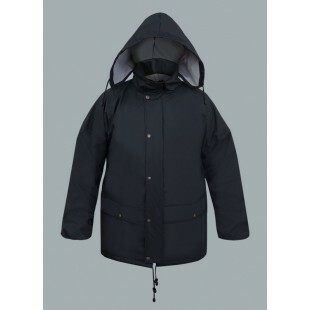 Made from polyester knitwear coated with polyvinyl chloride. 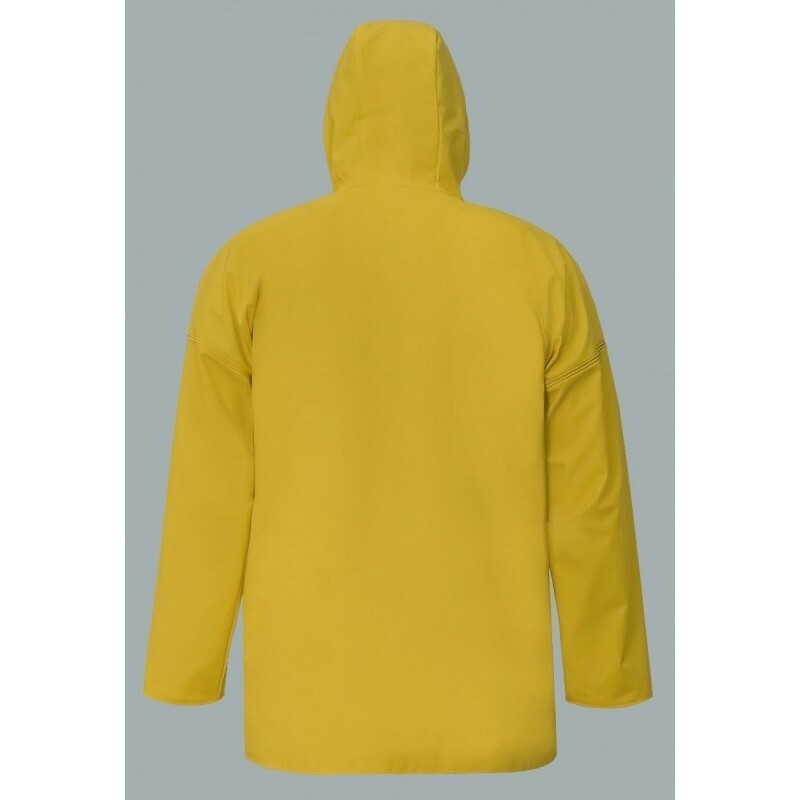 Made from polyester knitwear coated with polyvinyl chloride. 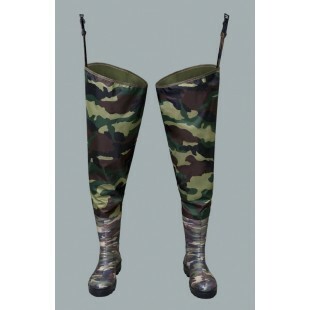 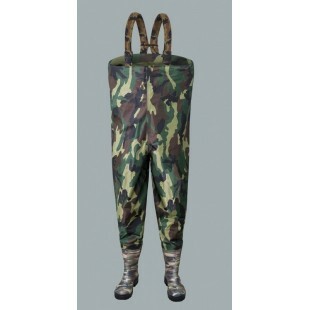 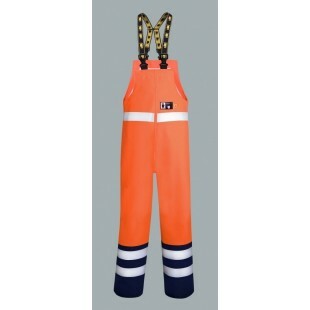 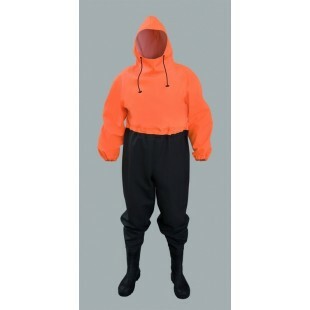 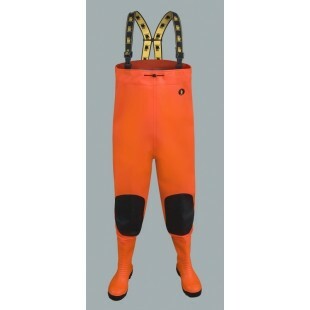 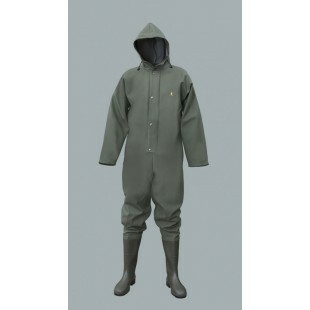 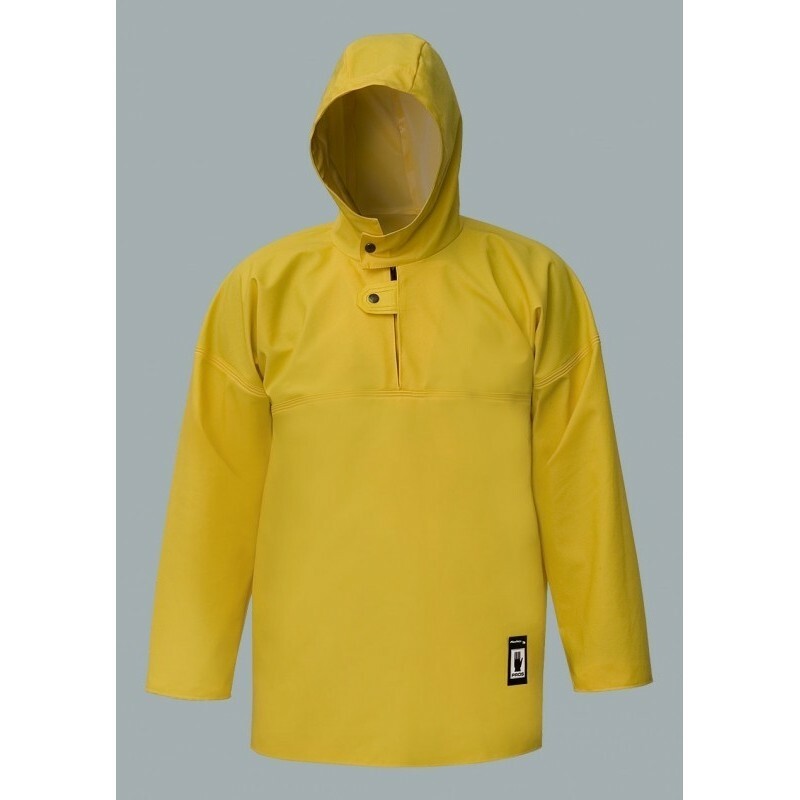 The product main is use at hard fishing work and successfully protect from salt water. 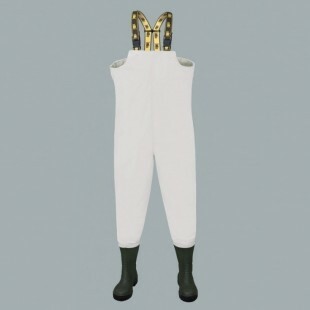 Thanks to double side welded with high frequency current product protect against strong wind and against rain. 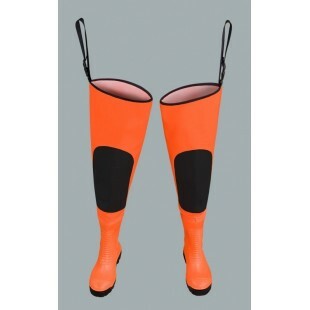 The product conforms with the EN 340 and EN 343 standards..